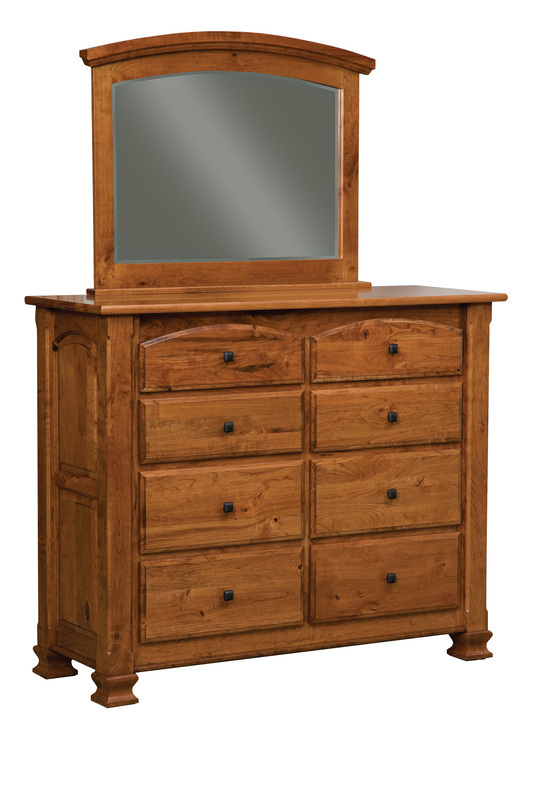 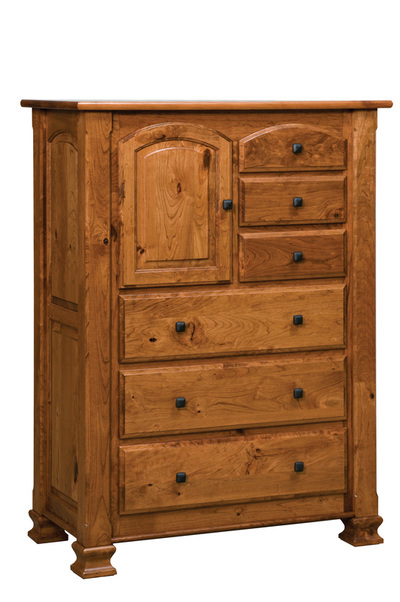 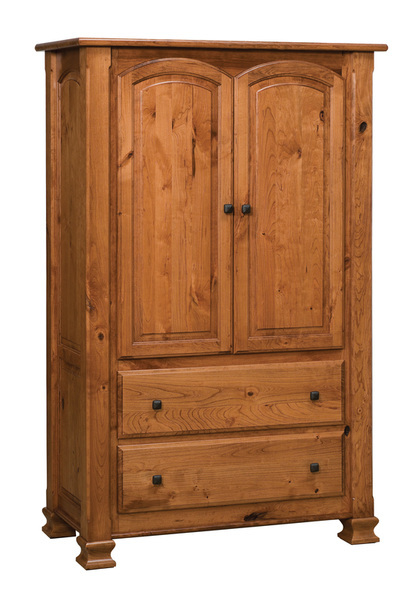 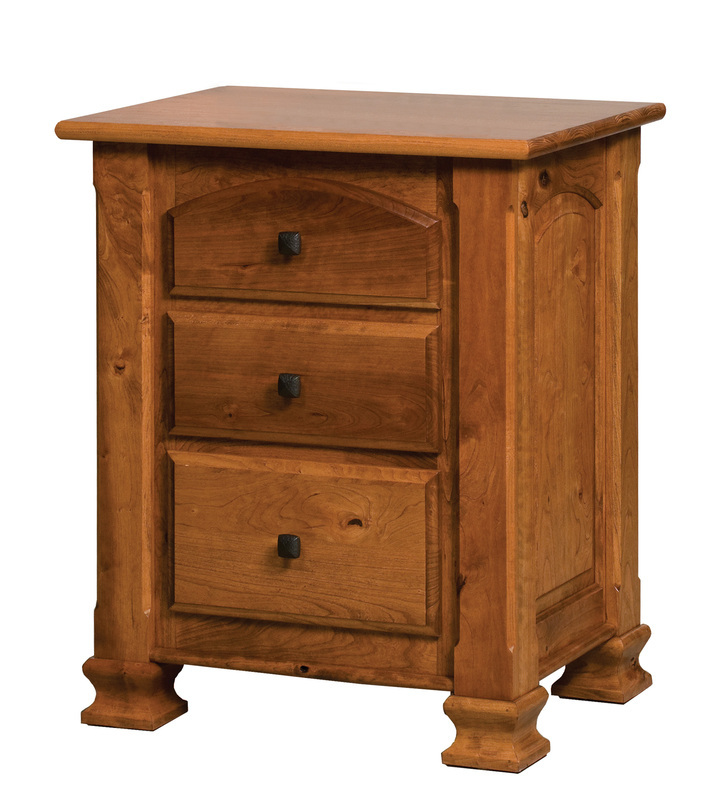 The Charleston is handcrafted with big, bold, corner posts and accented by the natural beauty of rustic cherry wood. Raised panels and arched drawer fronts, along with a curved crown are signature features. 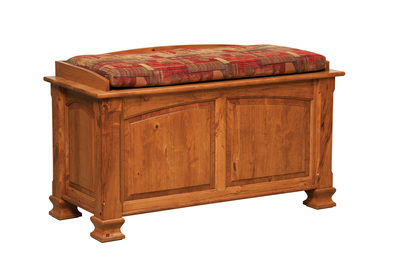 Built to last, the Charleston will be in the family through years to come. Standard with soft-close, side mount, and full extension slides. 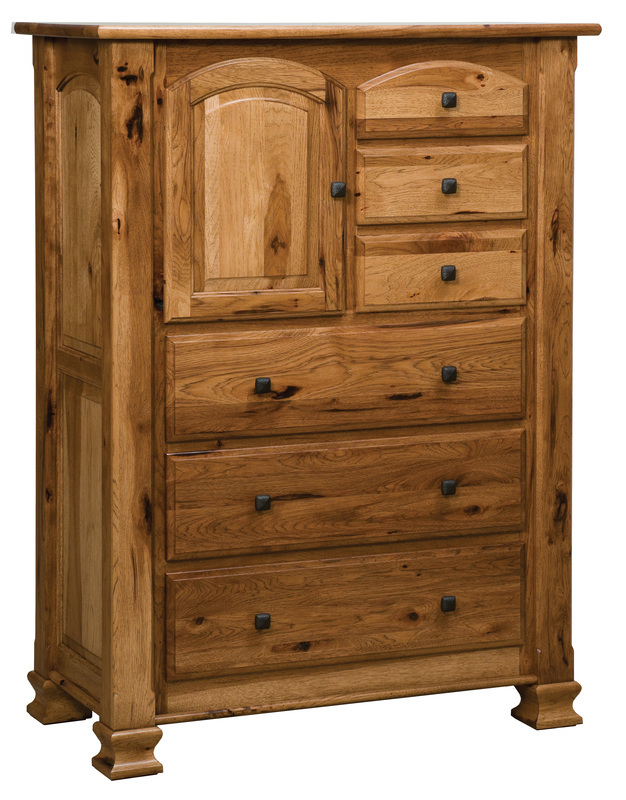 The Charleston Bedroom is available in many different wood species, including but not limited to: Cherry, Hickory, Quartersawn White Oak, Maple, Walnut, and Red Oak.